What’s in Store for the Future of Pavement Sealcoating? Asphalt Based Sealcoat, once considered a Western US sealcoating technology, continues to erode coal tar sealer market share in the Eastern states. More contractors are opting for Asphalt Based Sealers due to user-friendliness, blacker color and better pavement compatibility. 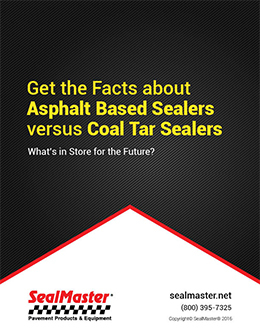 Download this FREE white paper to get the true facts from the industry leading producer of both asphalt and coal tar based sealers.